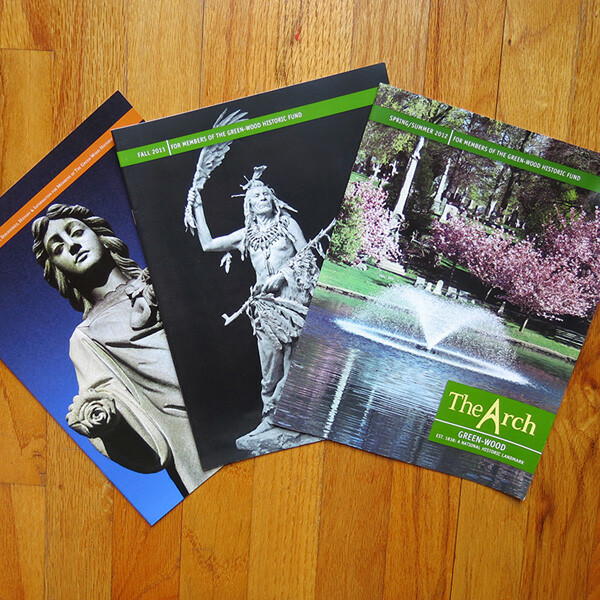 The design and editing of the Historic Fund's members-only magazine. 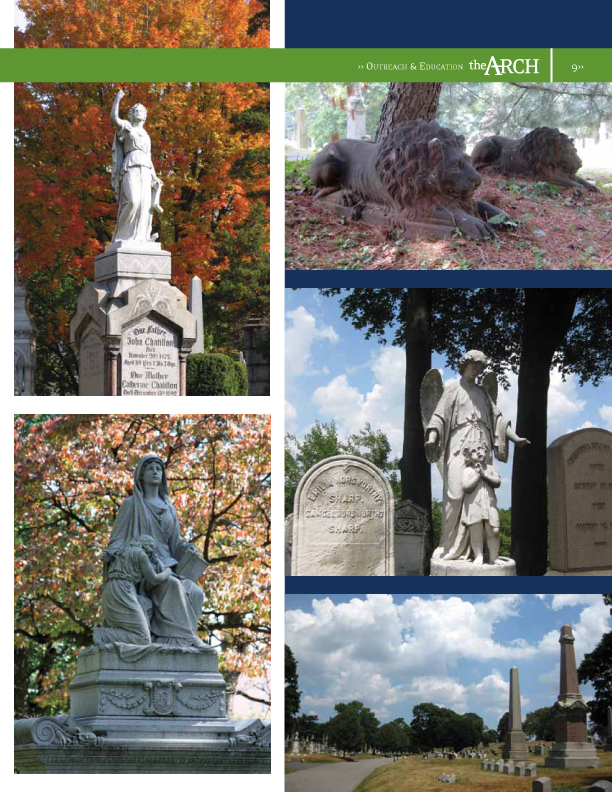 Published twice a year, it outlines the "goings on" in at The Green-Wood Cemetery via The Historic Fund. 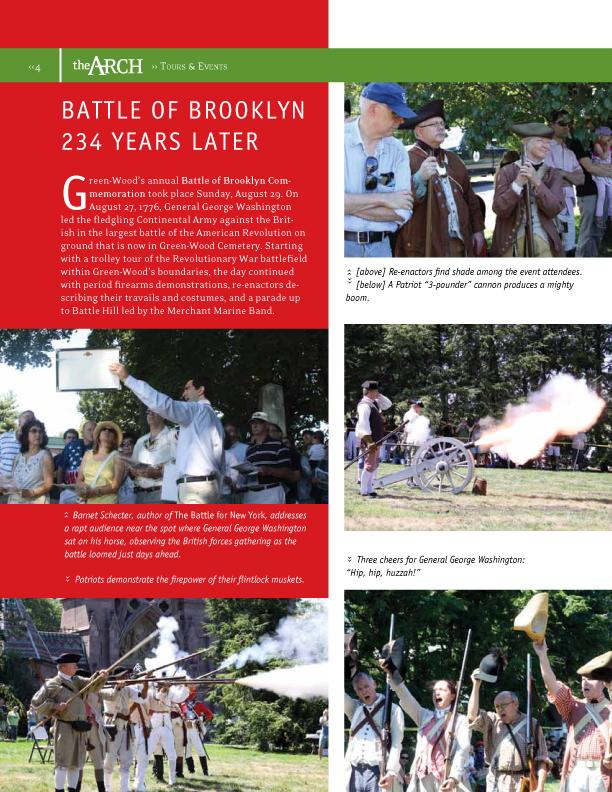 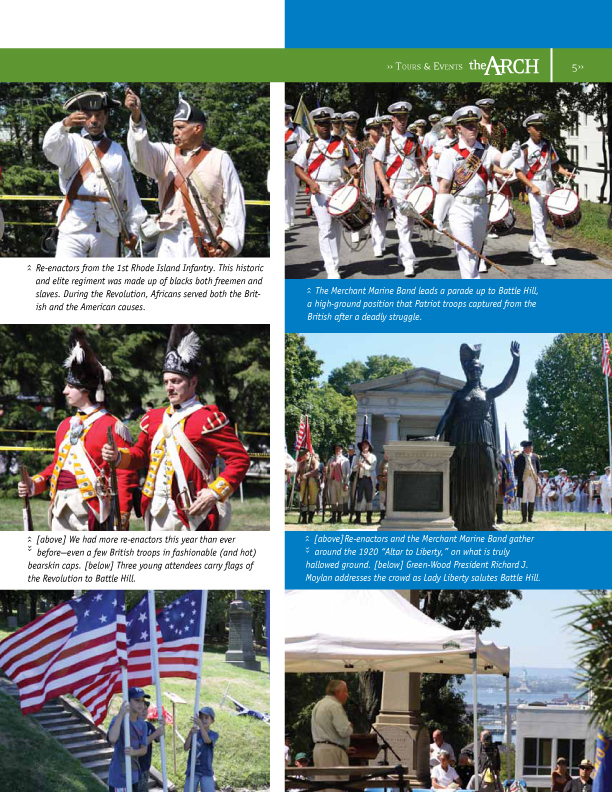 The fall 2010 issue featured The Battle of Brooklyn, Gottschalk Project and more. 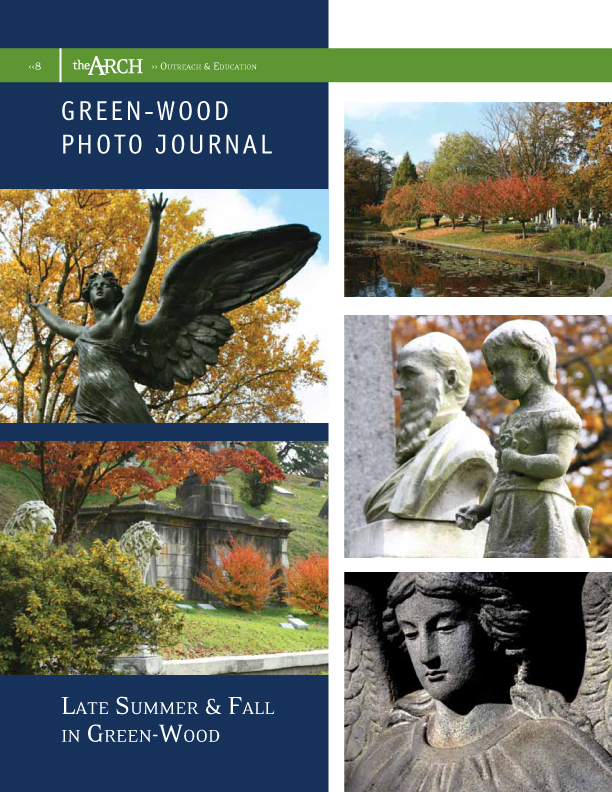 The biennial members-only magazine published by The Green-Wood Historic Fund. 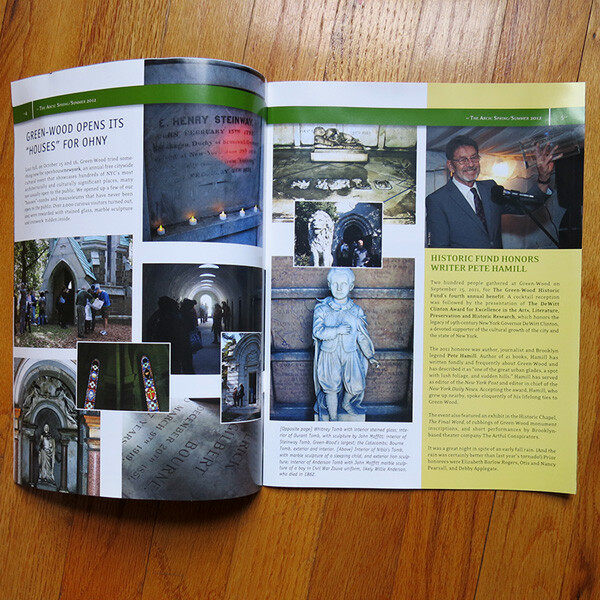 While at Lost In Brooklyn Studio, I designed, art directed and was the photographer for many of the articles. 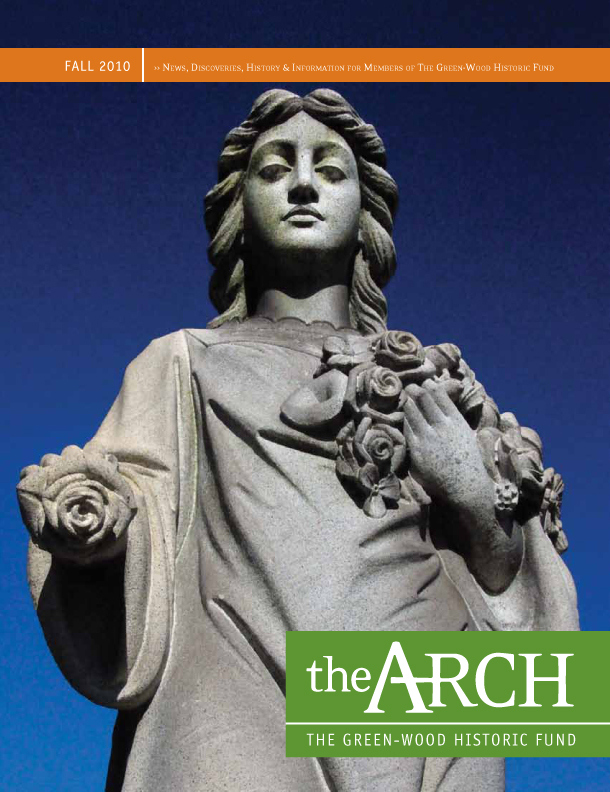 I have worked on The Arch since 2005 to present.